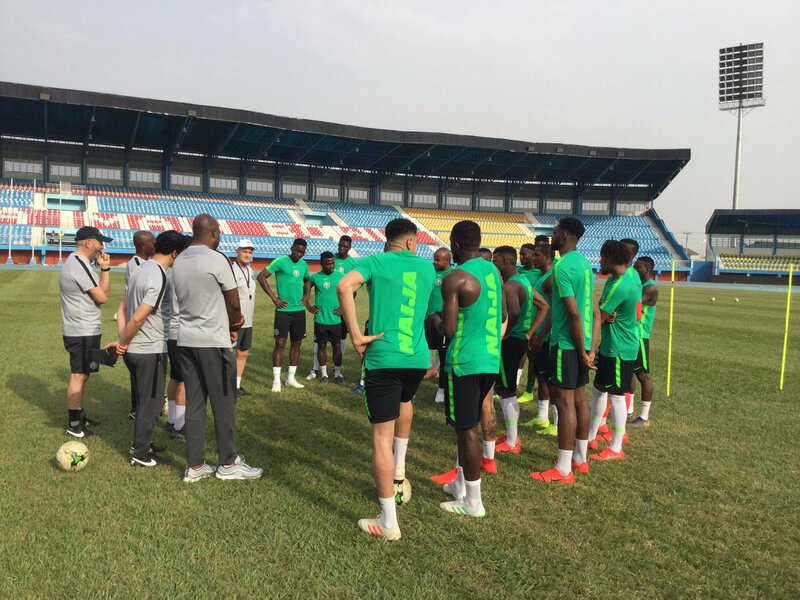 None of the new faces invited to the Super Eagles camp in Asaba for the Africa Cup of Nations Qualifiers against Seychelles will start the game. Super Eagles coach, Gernot Rohr has decided to stick with familiar faces despite the inconsequential nature of the game considering Nigeria already picked a ticket for the continental showpiece in Egypt. Alex Iwobi, Ahmed Musa, Henry Onyekuru and Odion Ighalo poach in front while Ndidi and Oghenekaro Etebo control proceedings in midfield. Shehu Abdullahi, Kenneth Omeruo and Troost Ekong assist Goalkeeper Francis Uzoho behind. Only Ikechukwu Ezenwa made the bench from Nigeria’s domestic league while Leon Balogun, John Ogu, Chidozie Awaziem, and Paul Onuachu are the other substitutes. The match is scheduled to kick off at 4pm at the Stephen Keshi Stadium, Asaba, Delta State.